The genius of Deadpool lies in the audacity of its storytelling, raves Raja Sen. I can see it as you start reading this review, smiling as you think you know what you’re in for. 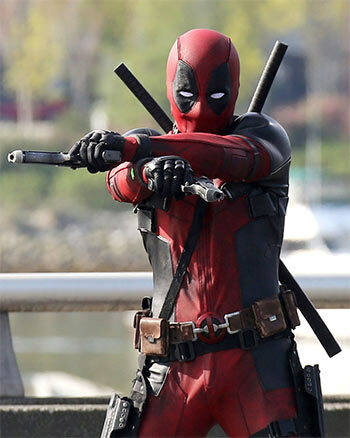 There are many kinds of films you may expect -- as did I -- but Deadpool, true to character, confounds. This is not an immature work consisting exclusively of pottymouthed juvenilia. This is not a work of subversion meant to restructure our concept of the superhero universe. Despite fanboy hyperbole, this is not the cleverest of superhero movies -- and certainly not the most violent. Instead, in keeping with a pansexual protagonist and his frequent friskiness, it lands somewhere in the middle. Why choose a sphere when you can ream the damn venn diagram? It feels as if the high-schooler from Superbad, who was so good at drawing penises, got a chance to make The Mask. The humour is feral and vicious and relentless, like an insecure stand-up comic desperately trying to be noticed at a roast. Everything gets filthy fast, and while the jokes might not all land, they come at you in ceaseless bursts of mostly juvenile shock humour: let’s call it a frat-a-tat-tat attack. That works great because, if you’ve read the comics, you’ll know that Deadpool is annoying. Oh, I love him to bits, the pop-culture skewering freak, the perpetual smasher of the fourth wall, but to the larger Marvel Universe -- to everyone around him -- he’s a pest. That, however, is just part of it. Director Tim Miller and writers Paul Wernick and Rhett Reese take an unconventional hero and spin out a conventional superhero backstory -- a doomed cancer-patient given a new, mutated lease of life -- but the genius of Deadpool lies in the audacity of its storytelling. The film’s structure, which consists unprecedentedly of two primary scenes and a whole lot of flippantly-narrated flashback, is extraordinary. All genre rules are told to sod off. There is no world to be saved. The villain never seems like much of a threat. Reynolds is smashing, visibly eager to keep things dirty, going on about Hugh Jackman’s cojones and Liam Neeson’s parenting skills, frequently looking at you and me to keep us up to speed: in a moment of brilliant self-awareness, he even breaks the sixteenth-wall. He’s matched by equally randy love interest Vanessa (Morena Baccarin of Firefly), a mindmeltingly foxy character who knows what she wants -- especially on International Women’s Day -- takes no nonsense, and is refreshingly far removed from a damsel in distress. Her final line, on discovering her beau’s grotesquely disfigured face, is a peach. I'd tell you more about the characters and quote my favourite lines, applaud the Monty Python references and all that jazz, but consider my lips stitched together. This is unmistakably a comic-book film, and some fun new X-Men show up, but you don’t need to know any more than the fact that this film really earns its exclamation marks. Discover all that rude cheek on your own and revel in the surprise. And, like d**k-in-a-box, it’s all surprise. Wham!